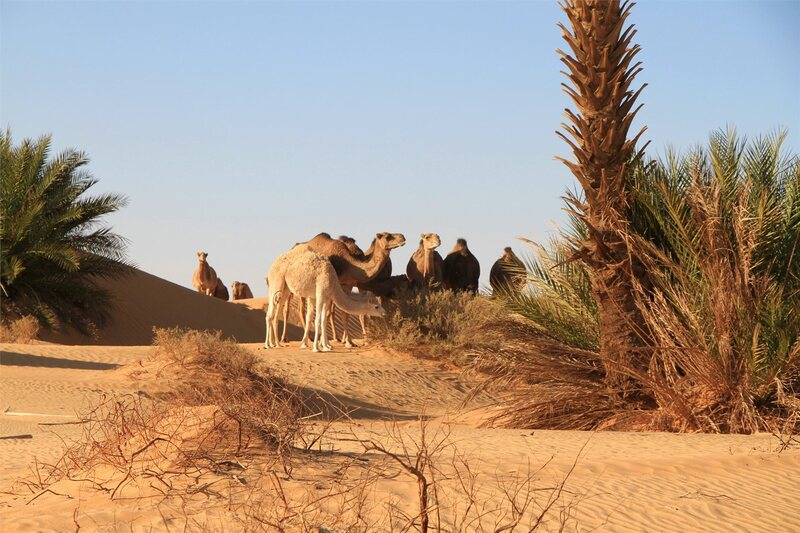 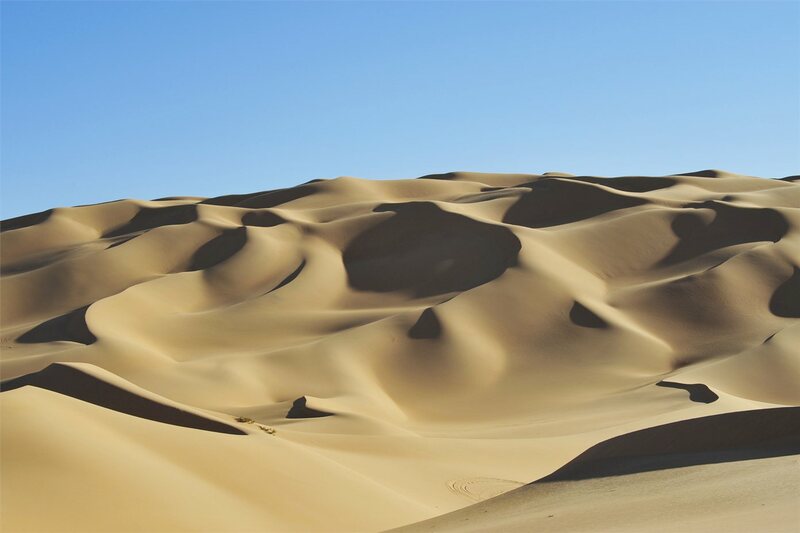 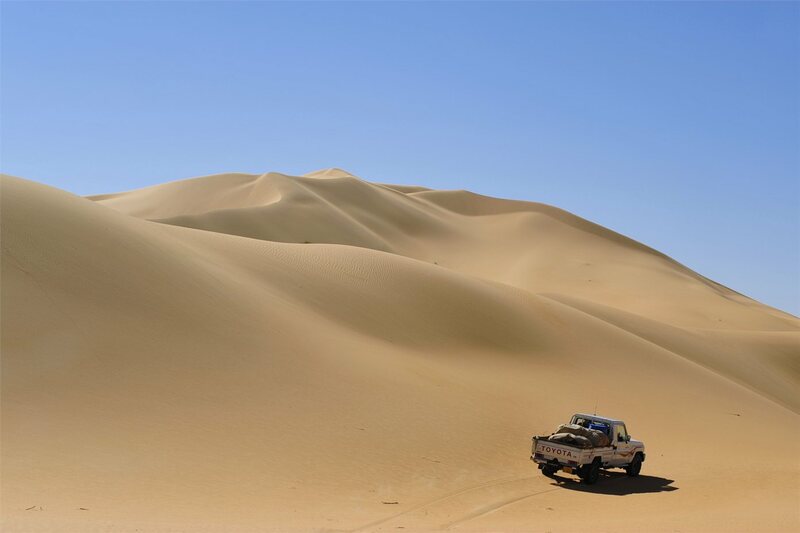 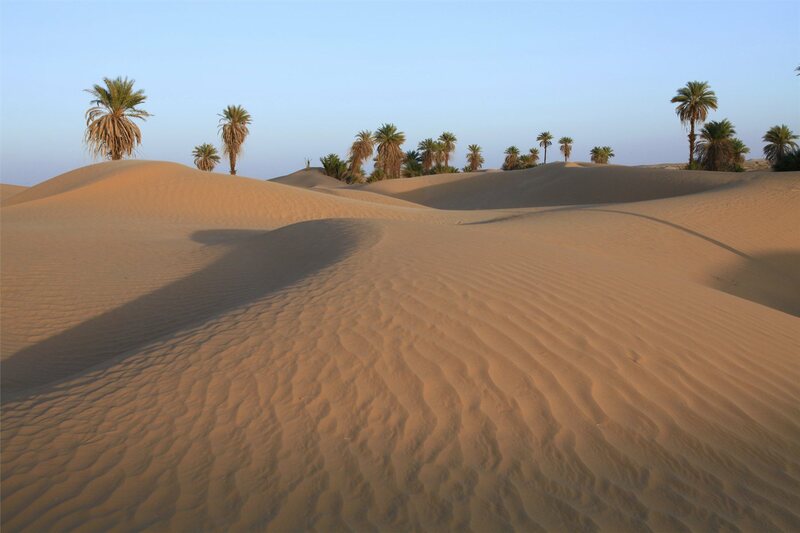 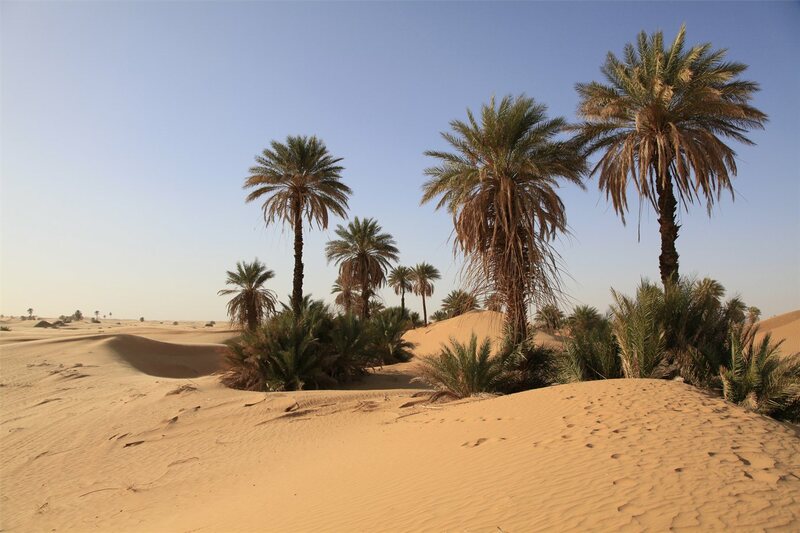 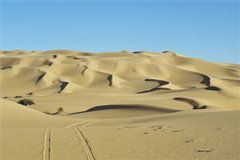 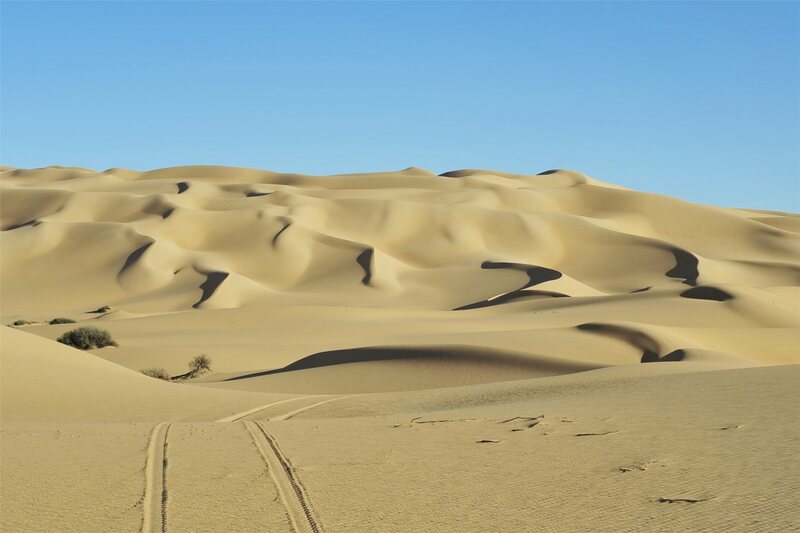 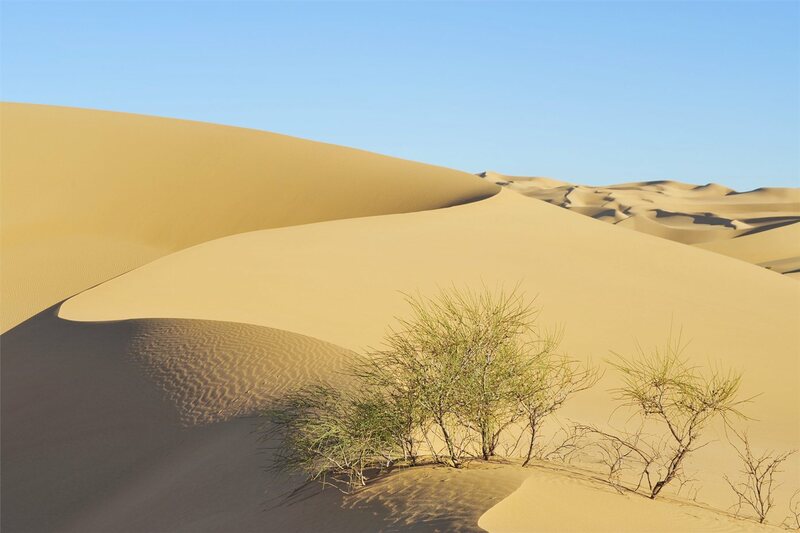 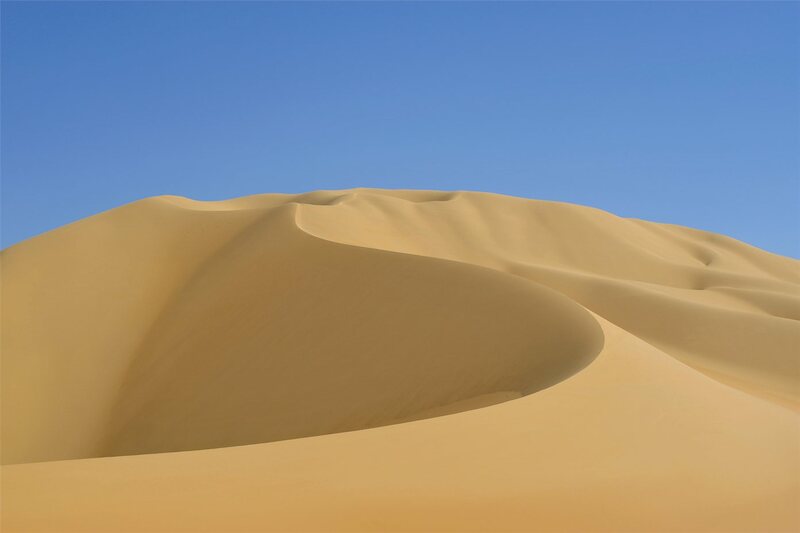 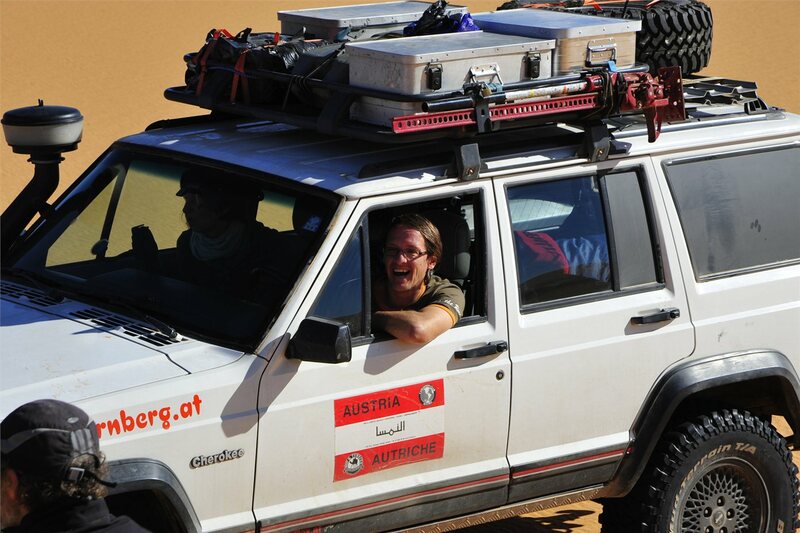 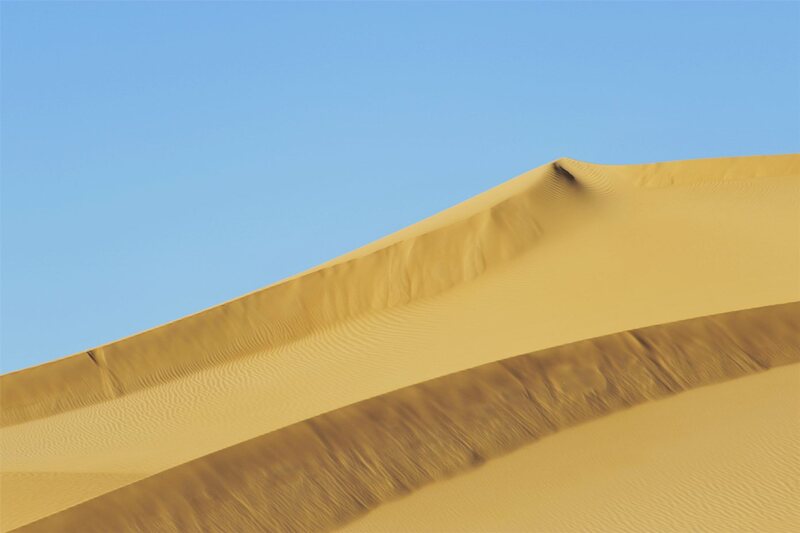 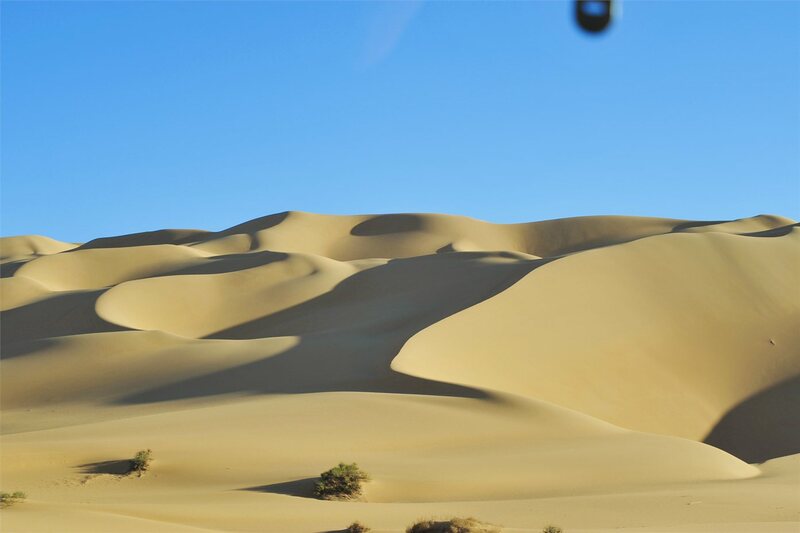 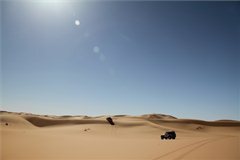 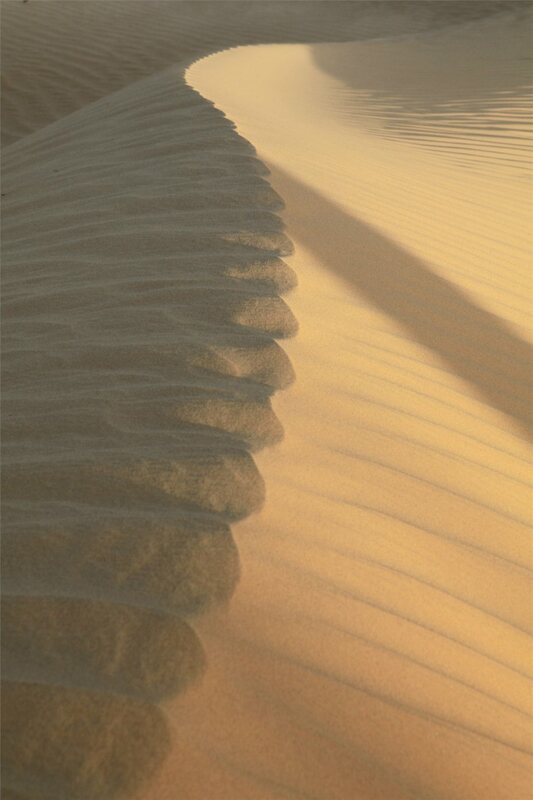 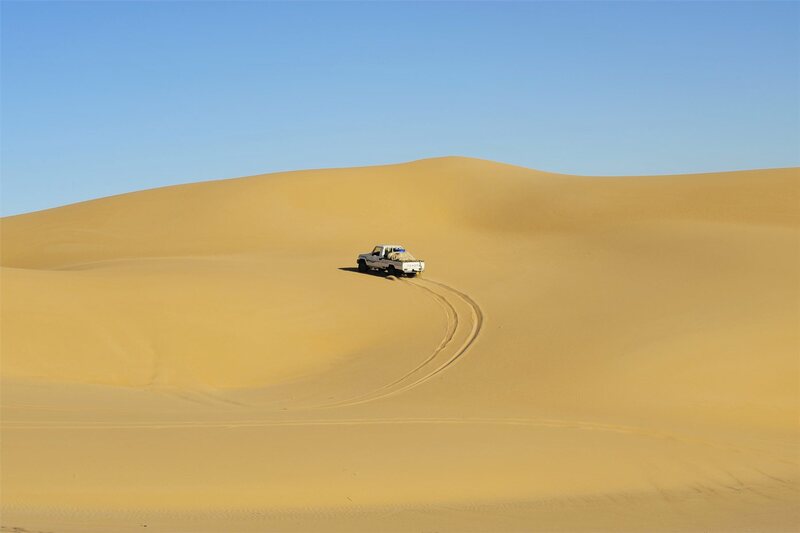 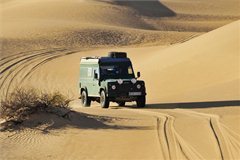 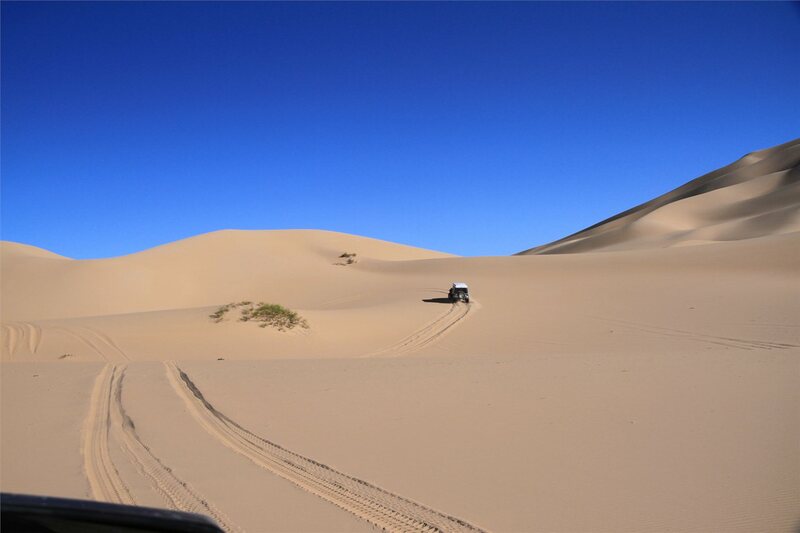 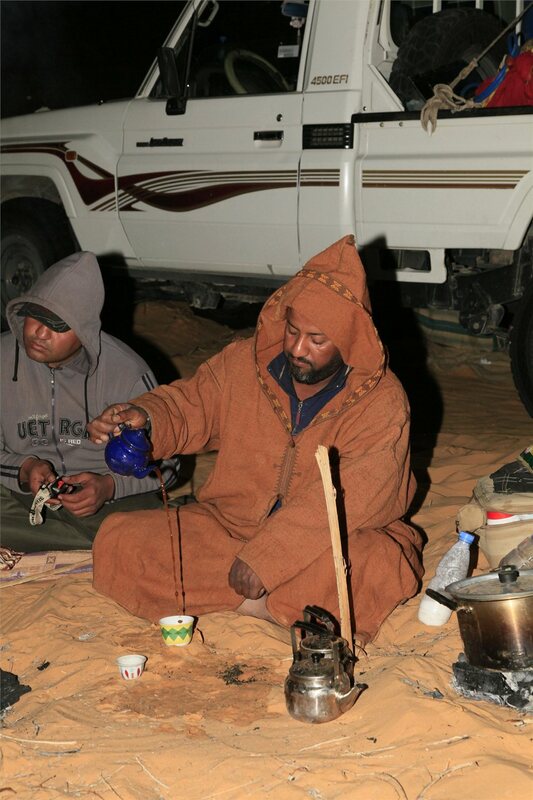 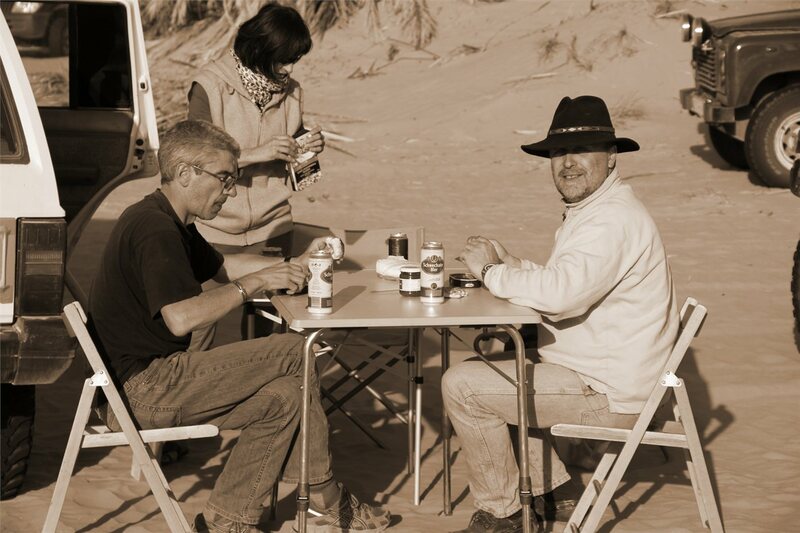 N27°31,715' - E13°38,943' the point to turn left, to the Sahara dune area. 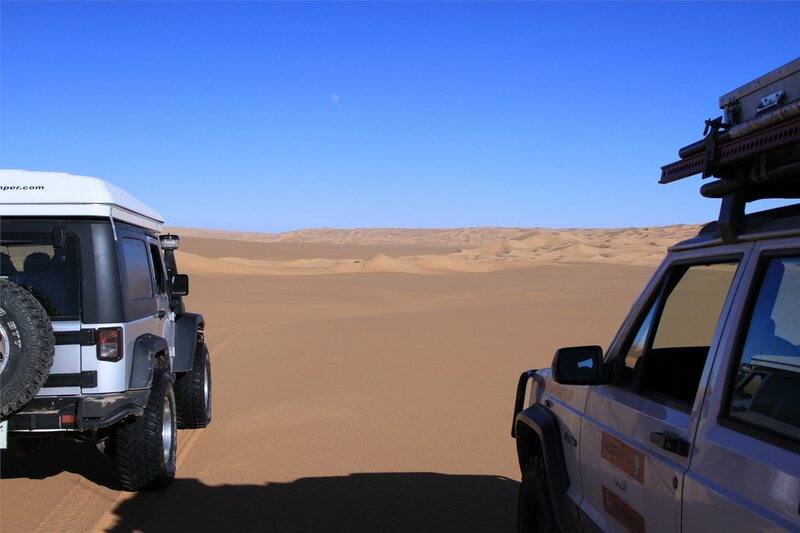 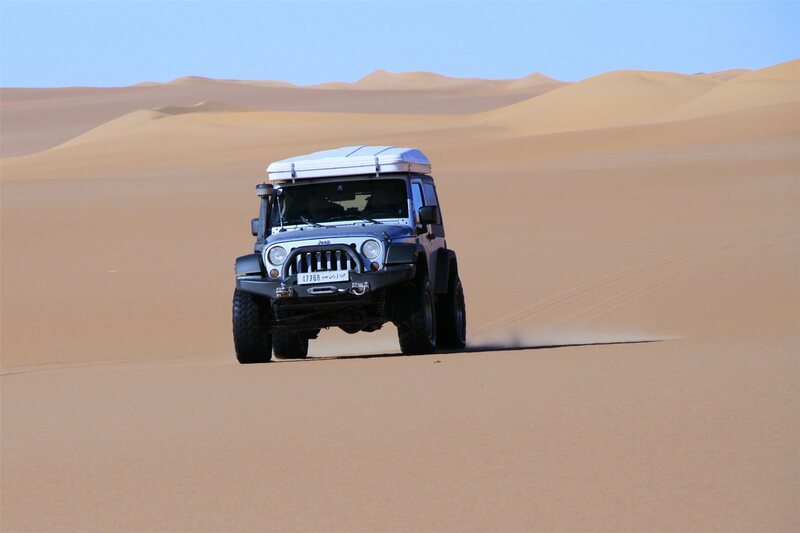 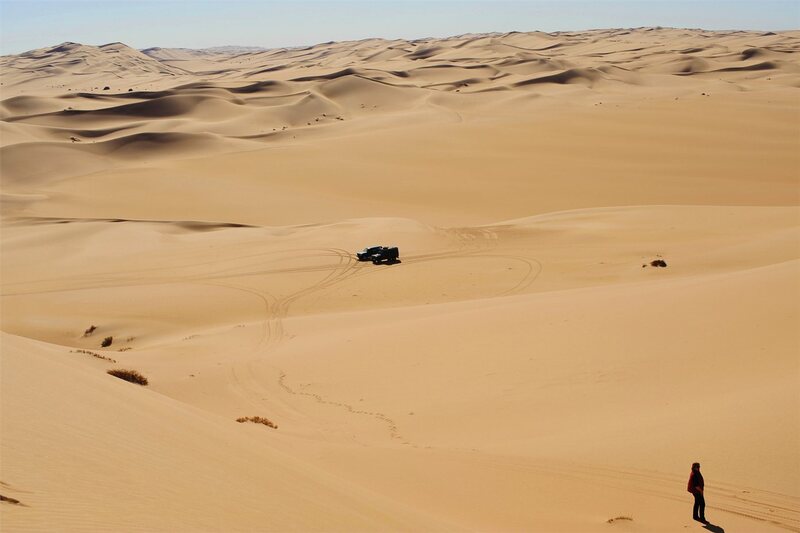 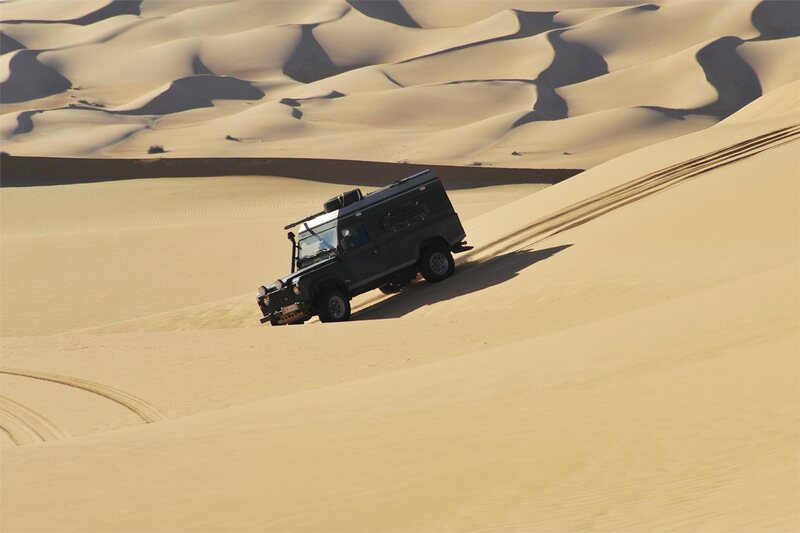 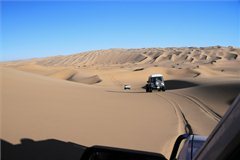 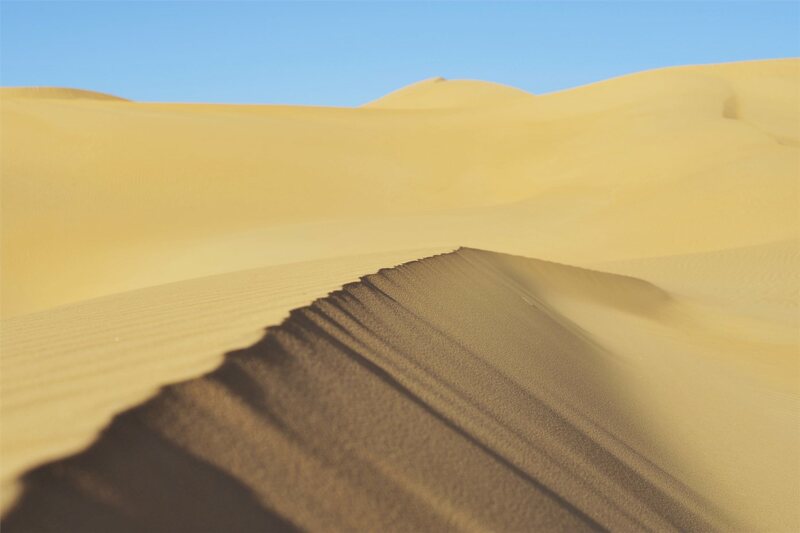 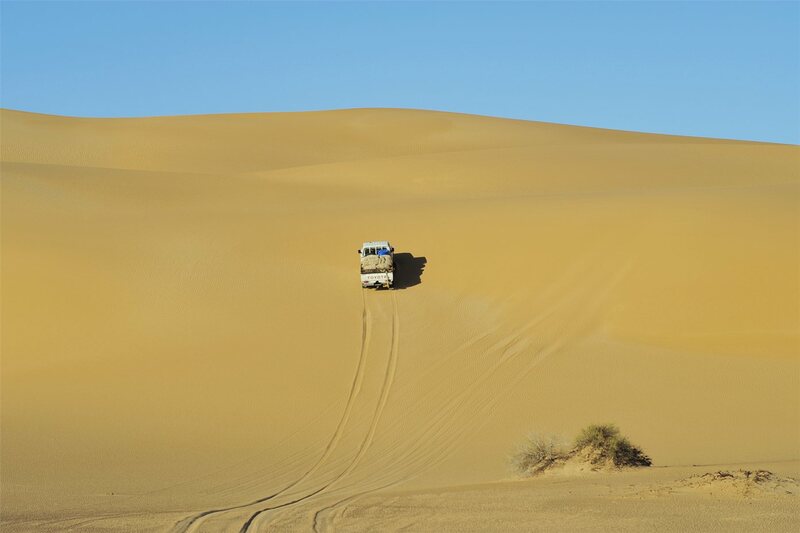 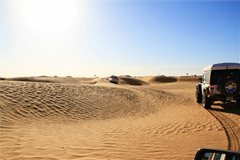 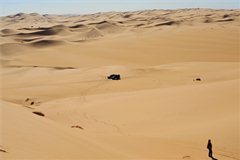 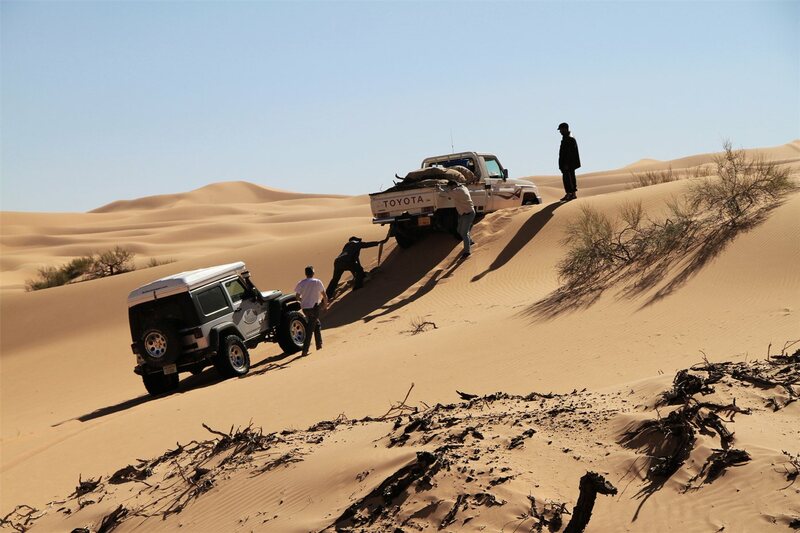 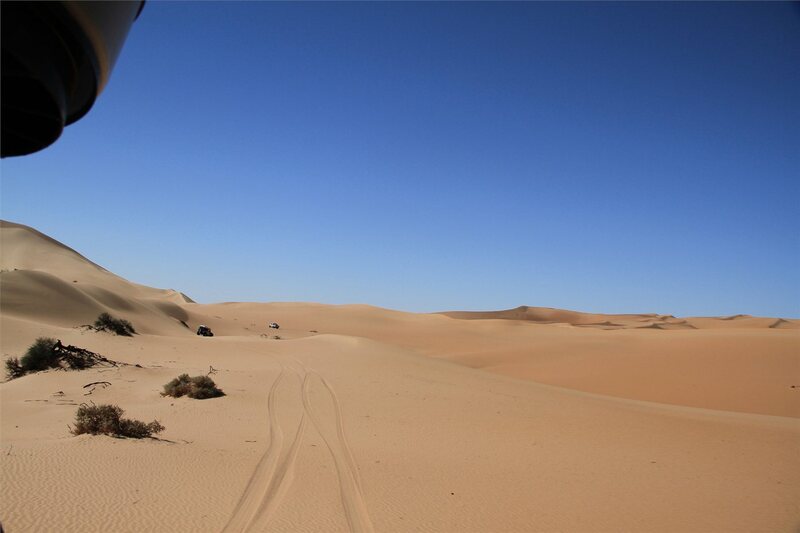 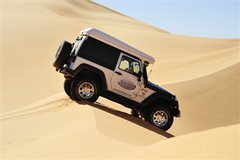 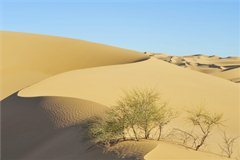 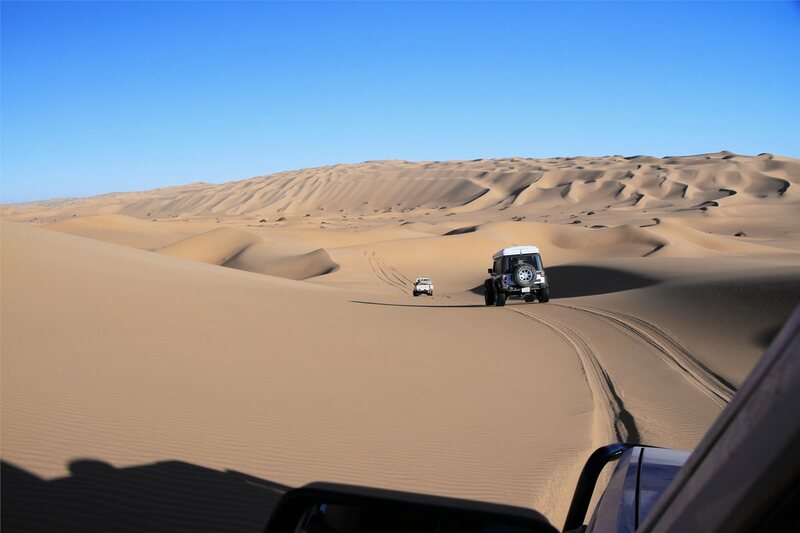 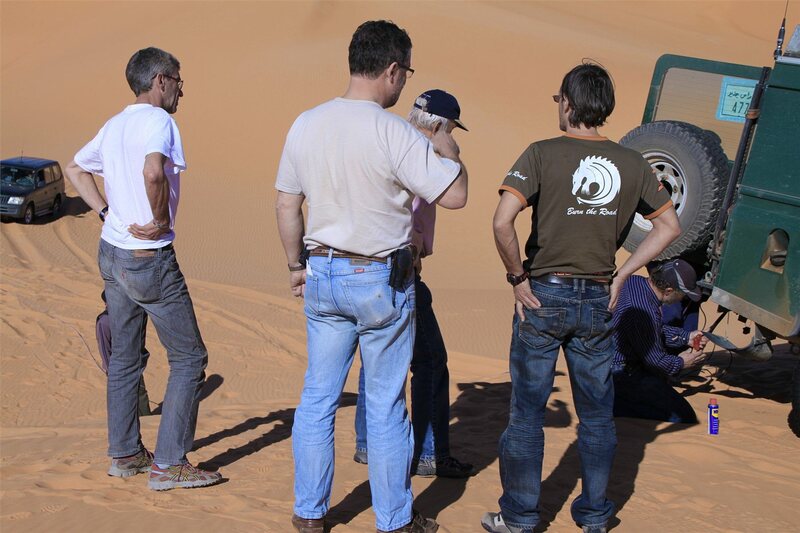 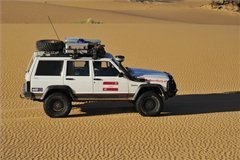 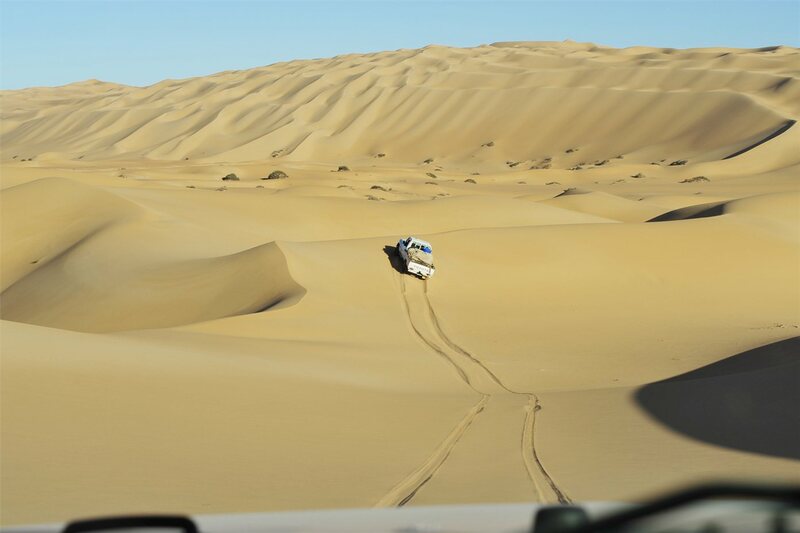 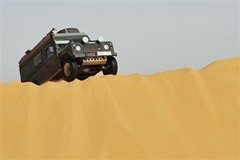 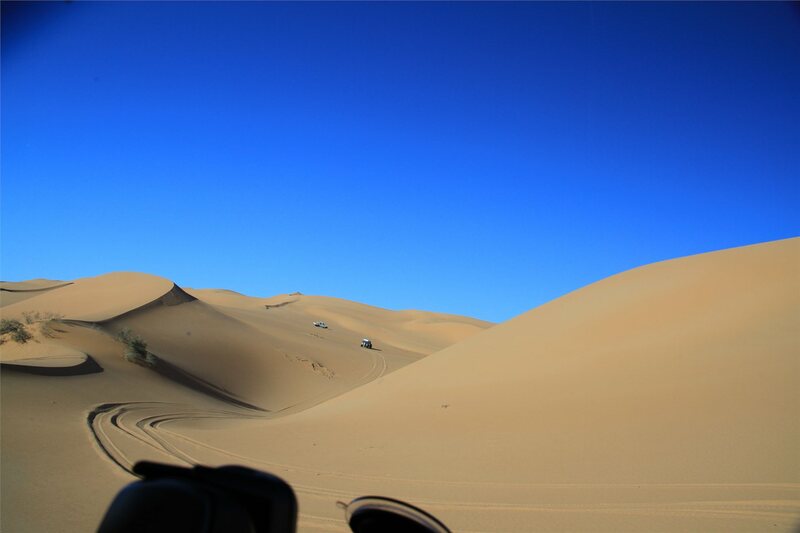 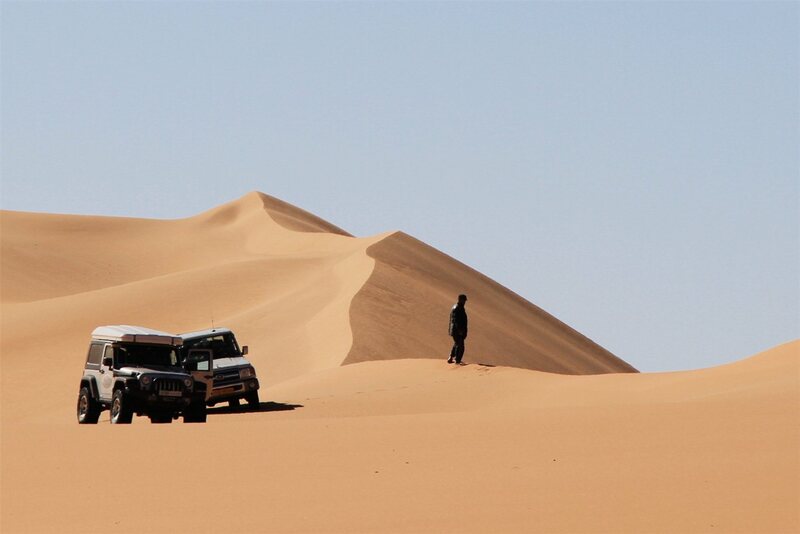 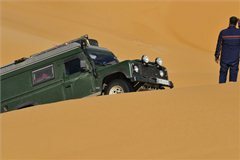 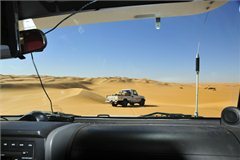 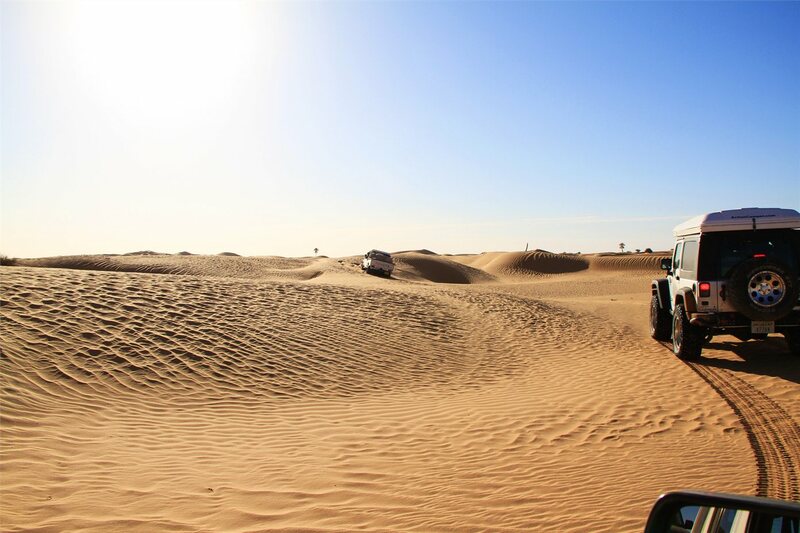 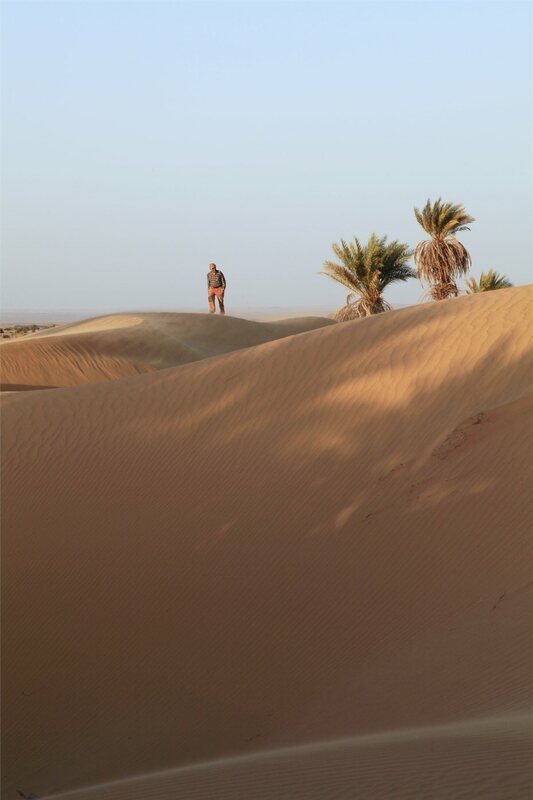 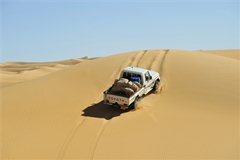 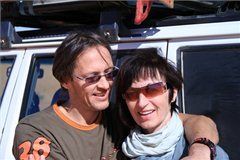 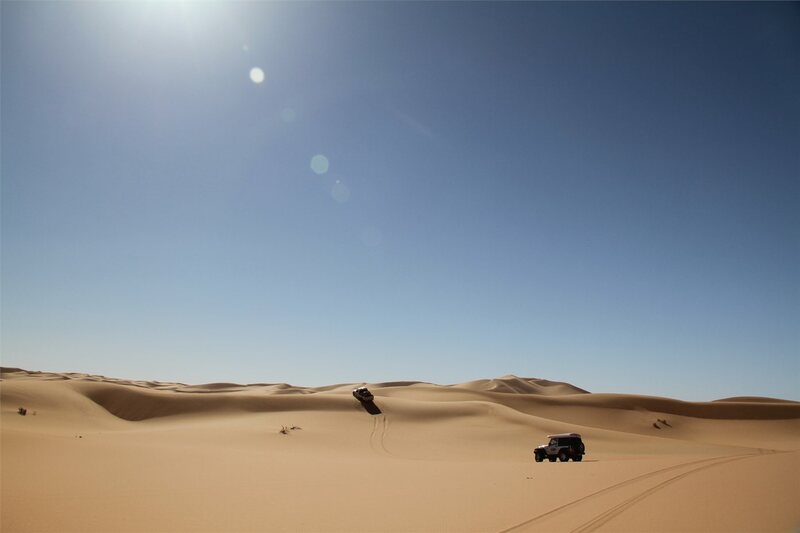 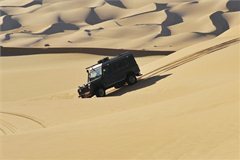 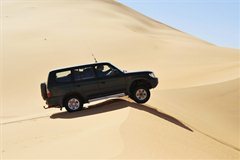 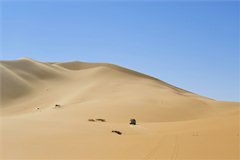 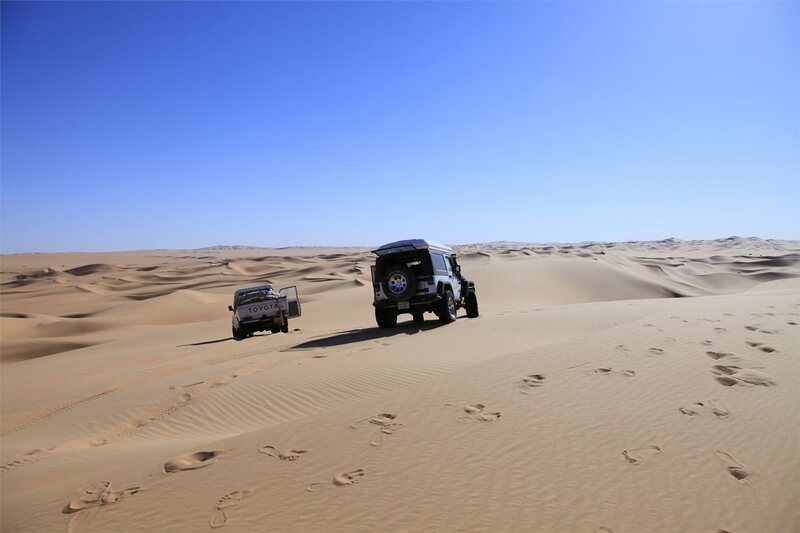 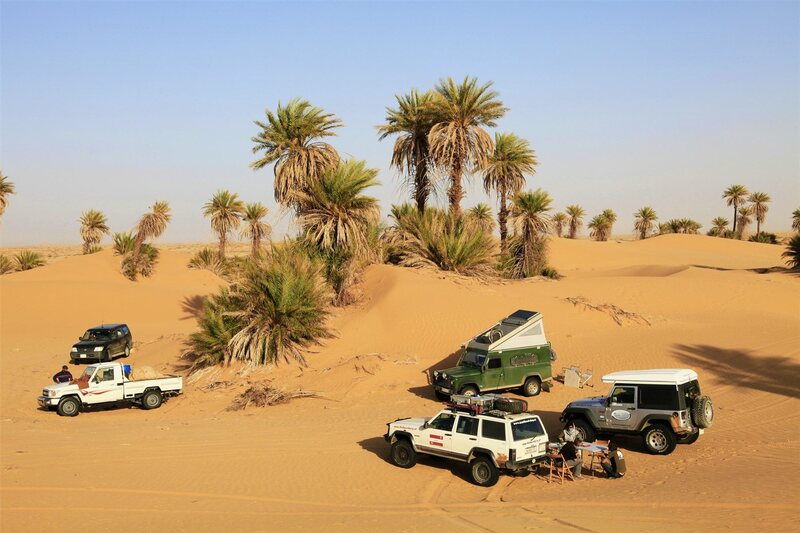 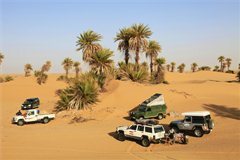 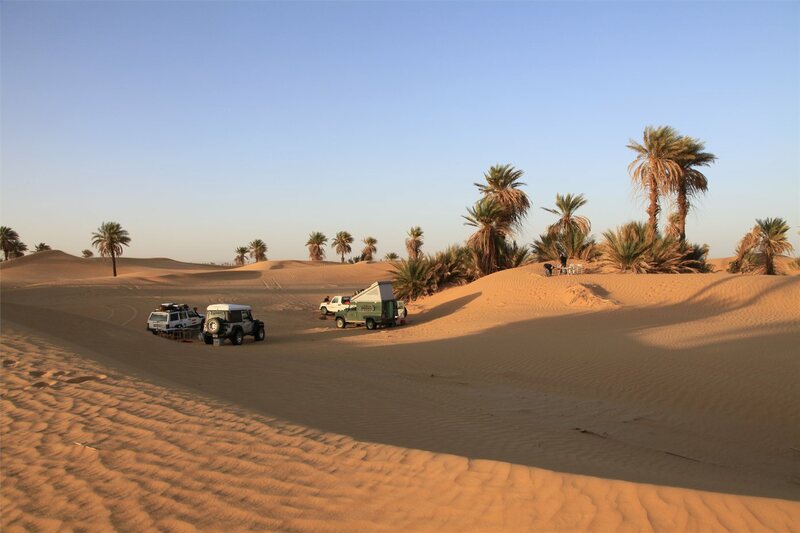 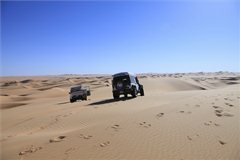 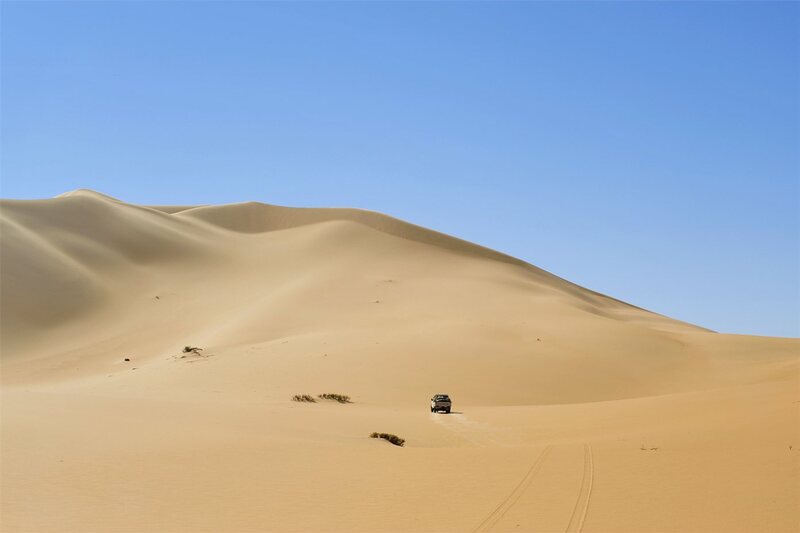 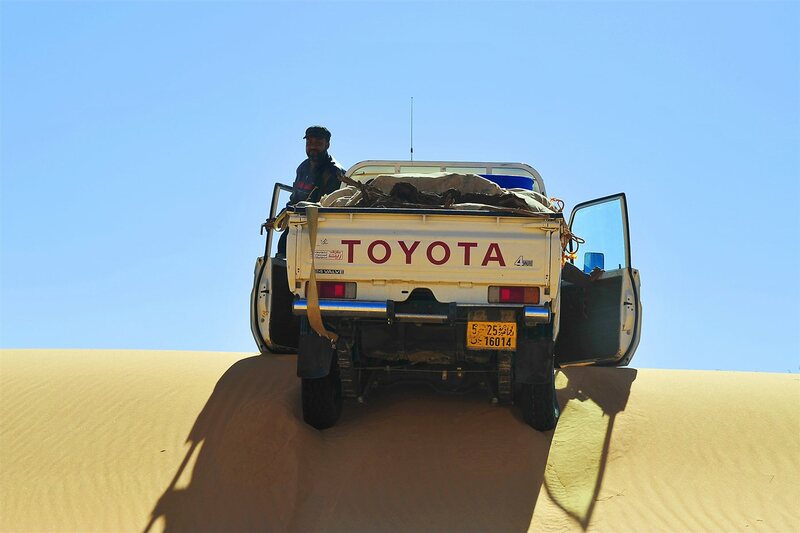 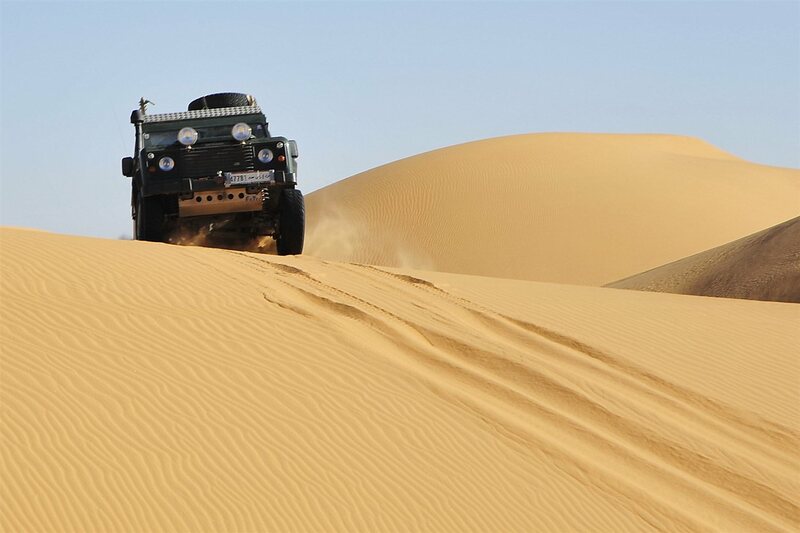 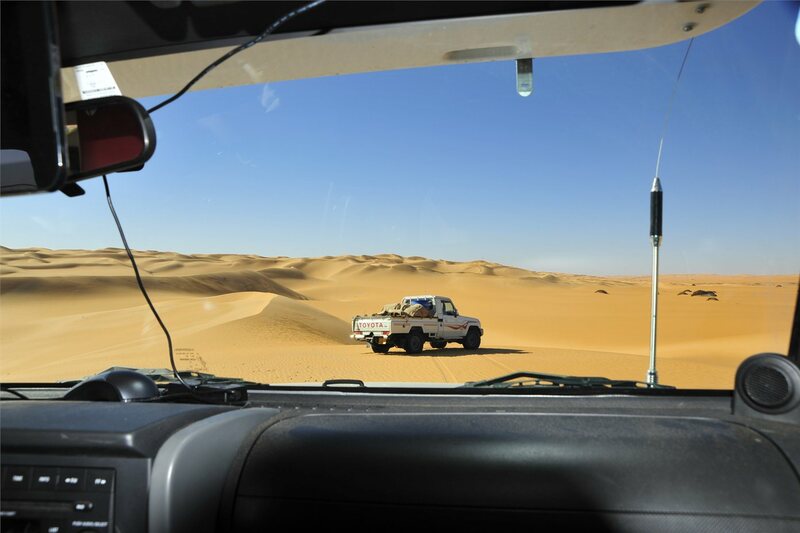 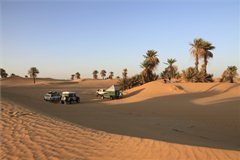 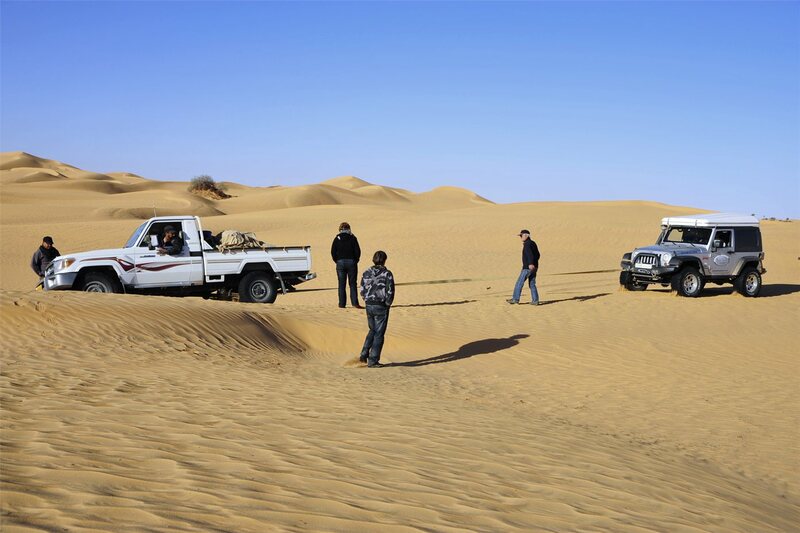 The excitement was great, finally getting to the Sahara dune area. 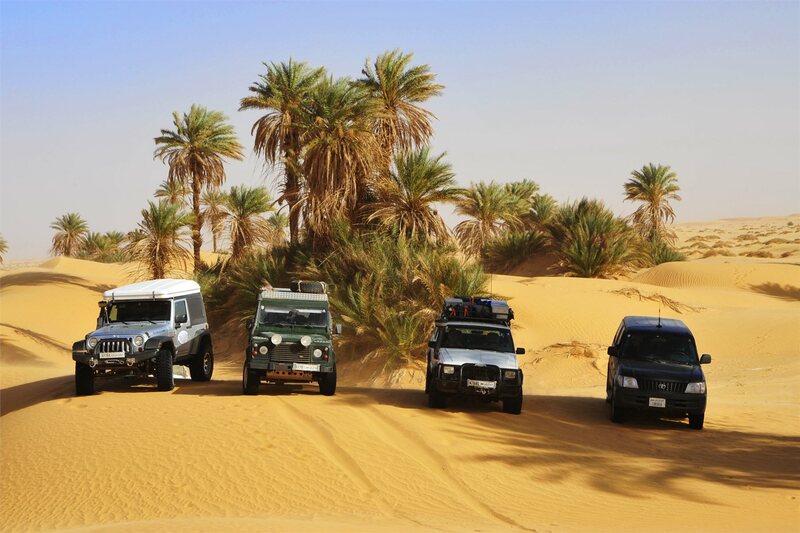 The Adventure could start. 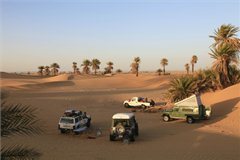 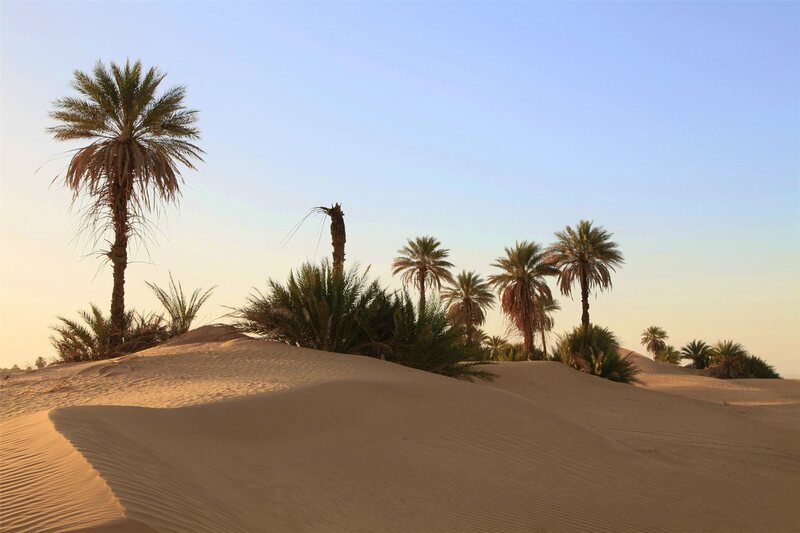 We lowered the tire pressure and there we drove to a protected dune valley, surrounded by countless palm trees. 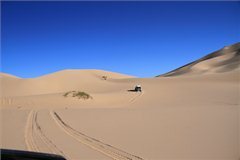 Even though the today's drive was short we stopped the day trip. 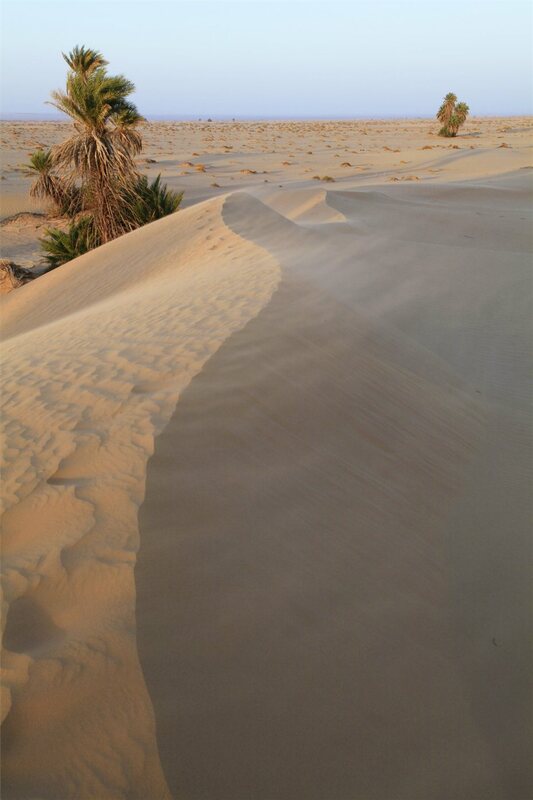 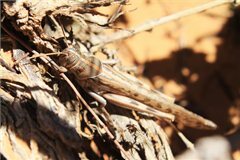 The hikes on the dunes and taking pictures were fun for everybody. 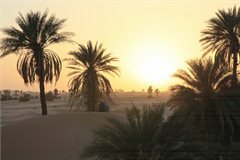 The sunset was pure romantic. 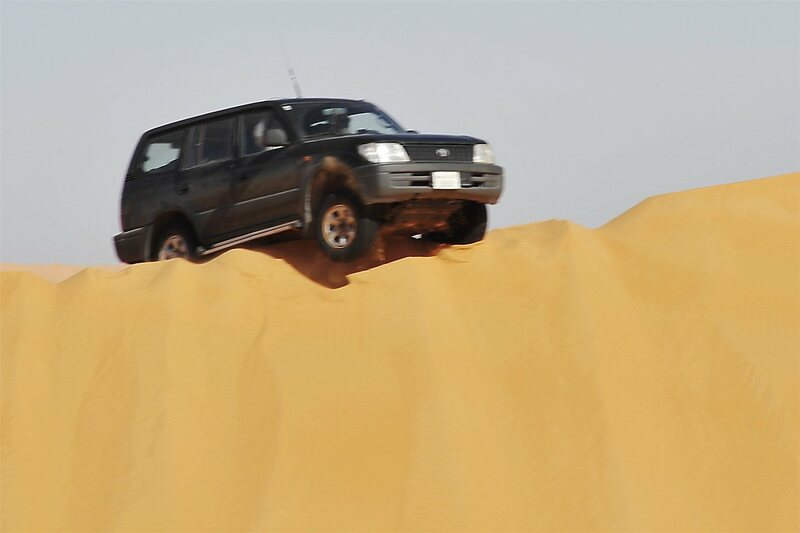 Even though I had experienced south Tunisia last February, the drive to the Mandara lakes was an enjoyable experience. 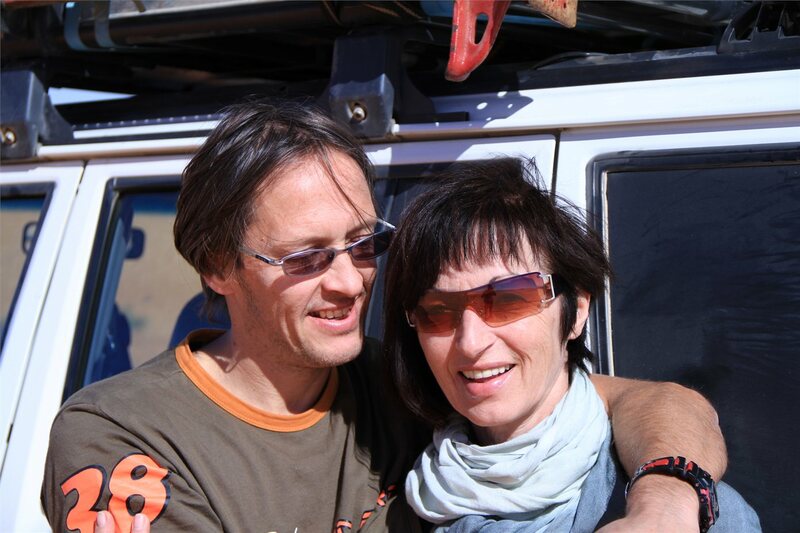 The feeling arises to ski or snowboard in deep snow. 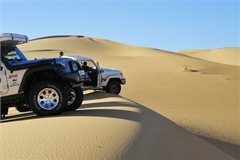 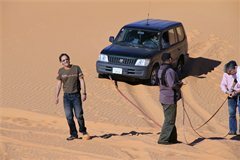 Offroad driving cannot be more beautiful and provide more adventures. 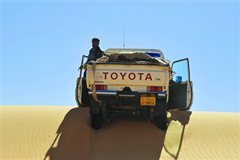 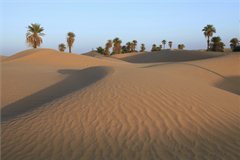 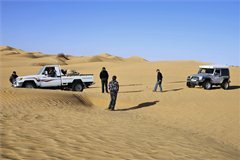 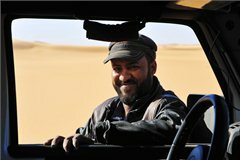 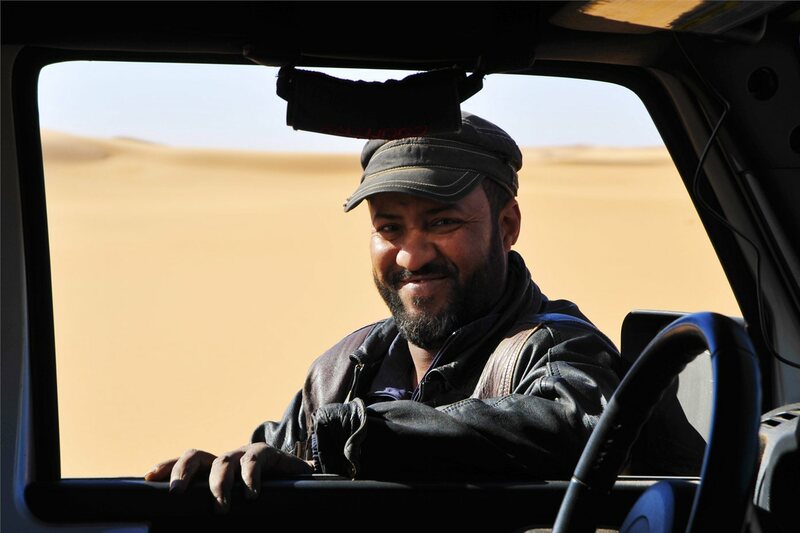 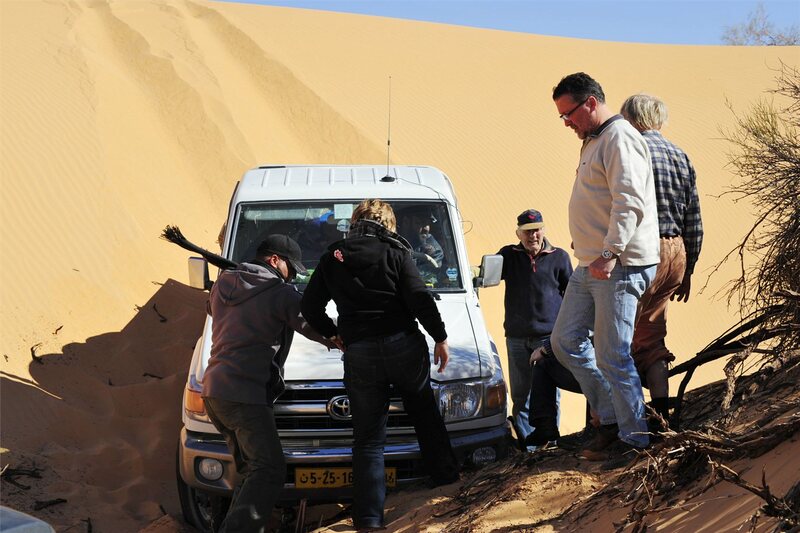 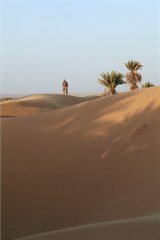 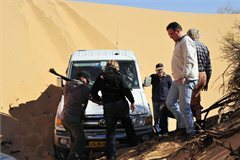 Our guide Ayssa has a tremendous feeling for the right way and found with his trained eyes the most exciting but safest dune crossings. 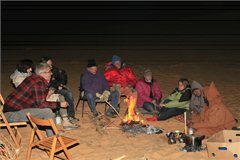 We who just followed his tracks, where totally exhausted from the endless impressions, taking movies and photos, when we finally sat down to the camp fire. 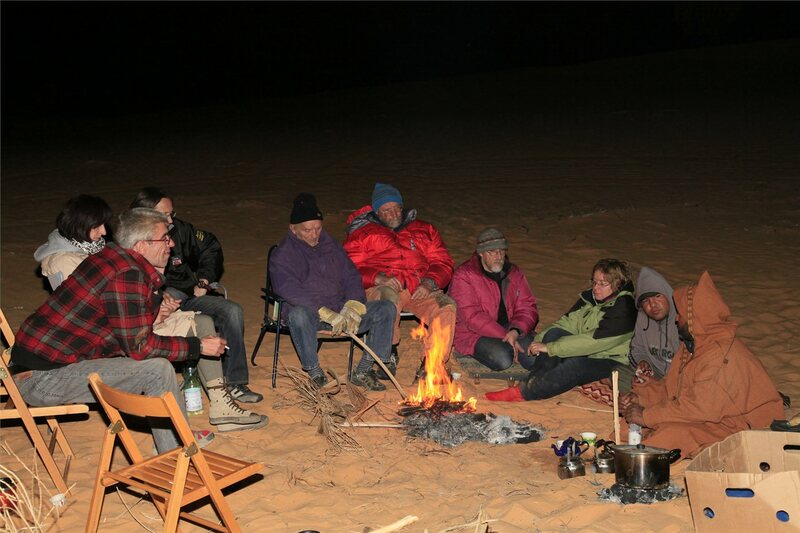 This is how we finished our second day in the desert.